May - I is back with her second release on DCR with two cool slabs of groove based tech. Re-Root rumbles and throbs in all the right places with a classy nod towards the old school and Welcome to the Underground is a pacier affair with hypnotic undertones. 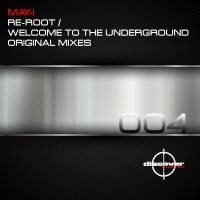 'Re-Root / Welcome to the Underground' is available now from Beatport and iTunes.